Have you ever come across a job posting and gotten so excited because you knew you’d be a perfect fit? Only issue: a lot of people want this job and you don’t know anyone remotely connected to the company. This is a big problem. After all, according to recent reports 85% of new jobs are acquired via a person-to-person connection: whether a personal referral or a professional one. In a Forbes article, “The Birth of The Referral Economy,” Steven Rosenbaum recounts a familiar story: a job listing he posted for a sales position resulted in applications from a ton of unqualified candidates, including an undertaker, an IRS Agent, and a high school student. His story shows how important it is for job seekers to leverage referrals when you’re on the hunt for a new position. There’s no substitute for a first-hand account of someone’s work ethic and on-the-job performance. To stand out from the crowd and get a foot in the door for that job you just know is right for you, you must invest in growing your network. But where do you start? Maintain professional relationships. Invite former colleagues to coffee or lunch, let them know you’re on the job market, and send them an updated copy of your resume. People won’t know to refer you if they don’t know you’re open to a new position. Become active in industry associations. Participate in local events and engage in industry discussions online. To demonstrate and promote your expertise, volunteer on committees and offer to help with projects that could benefit from your skill set. Take advantage of LinkedIn. Optimize your profile by incorporating keywords and skills relevant to positions that you are targeting. You can also follow potential employers and see if any of your existing contacts can connect you with decision-makers at those companies. Partner with a recruitment firm. Recruitment firms have established relationships with hiring managers and can get your resume in front of the right person. Recruiters can also provide exposure to hard-to-reach company leaders and senior management. Reach out to one person a day. In her book Reach Out, networking expert Molly Beck recommends setting aside time on your calendar to reach out to one person on the edge of your network each day. Consider shooting a quick email to an acquaintance or someone you admire providing something useful or helpful to them: an article or podcast episode that you think would be relevant to their work and interests or a note of appreciation or congratulations for something they recently said or did. Today’s job market is competitive, and hiring managers are overwhelmed with the volume of applications they receive. 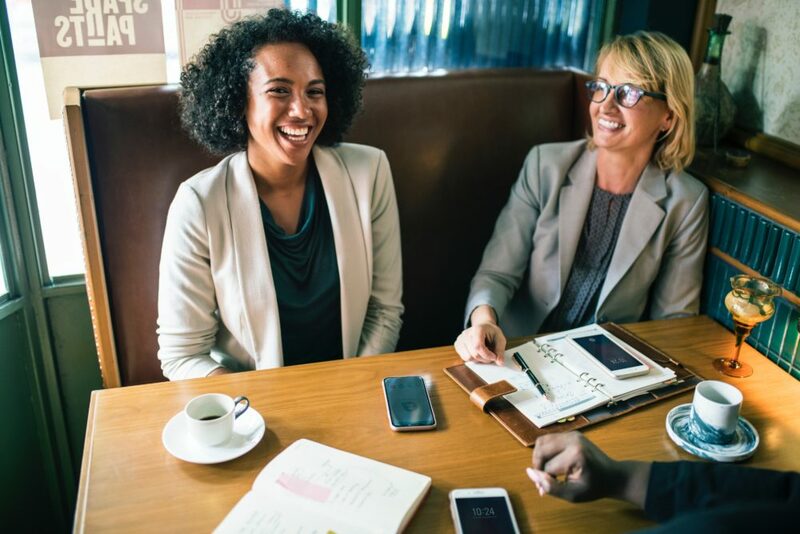 Work smarter by leveraging a blossoming referral network during the earliest stages of your job search for maximum results.